Overall, the focus of Wendy’s practice is in copyright, trade mark, patent and confidentiality related disputes. She also has experience in patent prosecution work and provides IP and IT related advice to a range of clients including international conglomerates, SMEs, government‐linked organizations, media owners, TV artistes, hotels, art galleries, movie production houses, educational institutions, copyright licensing organizations, and providers of electronic commerce and internet services. Wendy’s most recent reported decision concerned a group of 5 defendants in a patent infringement dispute, in the course of which, the plaintiff’s applications for patent amendments were entirely dismissed by Singapore High Court for the first time on grounds of the plaintiff’s undue delay and seeking unfair advantage in enforcing a potentially invalid patent based on findings of a corresponding patent filed before the European Patent Office (Ship’s Equipment Centre Bremen GmbH v Fuji Trading (Singapore) Pte Ltd and others and another suit  4 SLR 781). In the last few years, Wendy was involved in a series of patent revocation proceedings filed by Cargill against Martek which dispute resulted in a landmark appeal concerning an infant formula patent. This is the first time the Singapore Court of Appeal had to consider the jurisdictional powers of the High Court in hearing appeals from patent decisions issued by the Intellectual Property Office of Singapore (Martek Biosciences Corp v Cargill International Trading Pte Ltd  SGCA 51), and the appeal was eventually resolved in favour of Cargill. She had also represented one of the defendants against the proprietor of the famous “thumbdrive” patent infringement claim (Trek Technology (Singapore) Pte Ltd v Ritronics Components (S’pore) Pte Ltd  1 SLR(R) 846). For trade mark disputes, Wendy had represented the exclusive licensed distributor of the Rooster brand cordyceps in Singapore to enforce its trade mark rights against an established retailer of chinese traditional herbs through criminal and civil proceedings. The Court of Appeal’s decision in Wing Joo Loong Ginseng Hong (Singapore) Co Pte Ltd v Qinghai Xinyuan Foreign Trade Co Ltd and another appeal  2 SLR(R) 814 is the locus classicus for principles on revocation and invalidation of trade marks in Singapore. Other cases which had been reported in the media included MFM Restaurant Pte Ltd and another v Fish & Co Restaurants Pte Ltd and another appeal  SGCA 36, in which Wendy had successfully acted for the Appellant in reducing its assessed damages before the Court of Appeal. 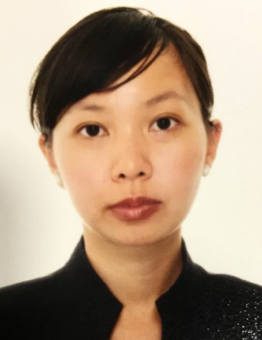 Another recent reported decision concerns her client’s success in having Marina Bay Sands’ discovery appeal dismissed notwithstanding their objection that the documents requested concern state secret under the Official Secrets Act. Previously, she had also acted for the plaintiff in Golden Village Multiplex Pte Ltd v Golden Harvest Film Distribution (Pte) Ltd and another  3 SLR(R) 599, a reported directors’ dispute.